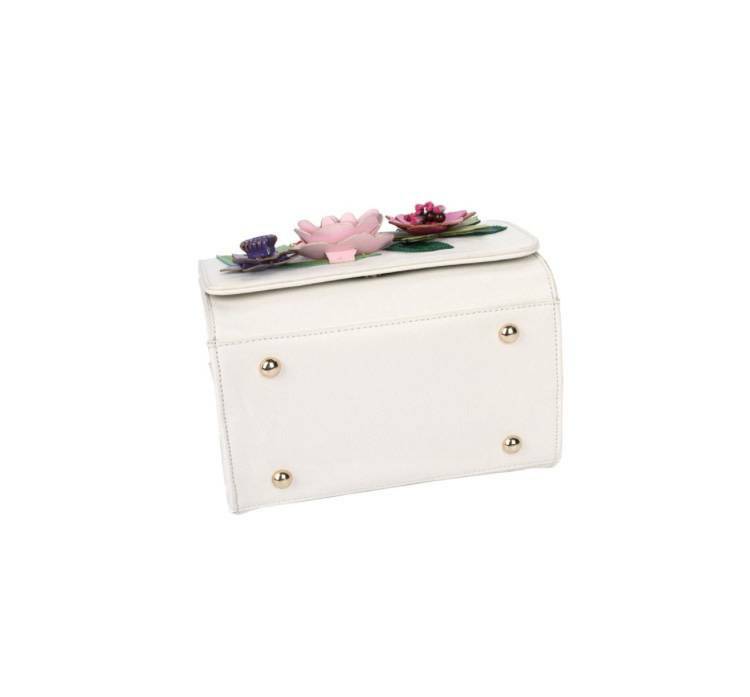 Compact and elegant, this small grab bag is the perfect size to compliment any summer party outfit. 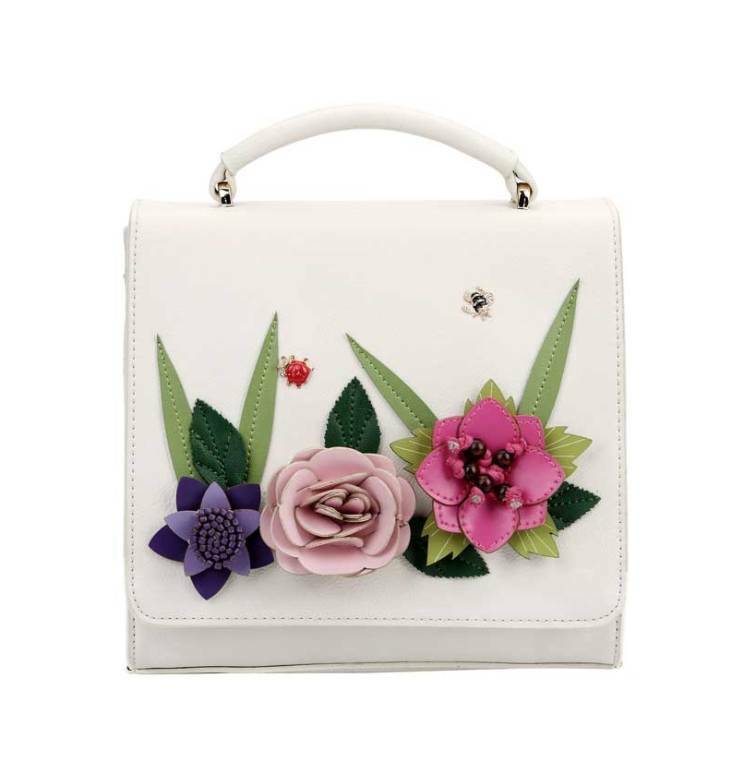 With a touch of bright colour, thanks to an applique artwork made of PU flowers it will adorn your summer. 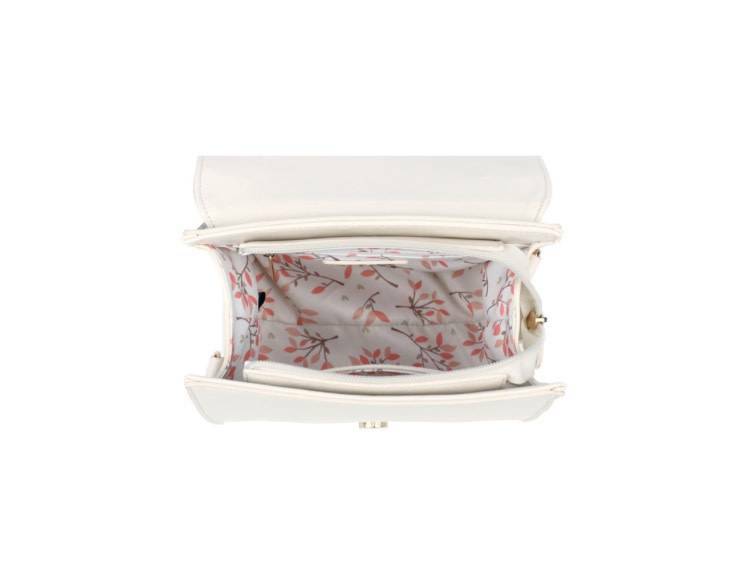 The Vendula London English Garden Grab Bag closes with both a hidden magnetic fastening and a zip and comes with metal stud feet to protect the bottom of the bag when you set it down. 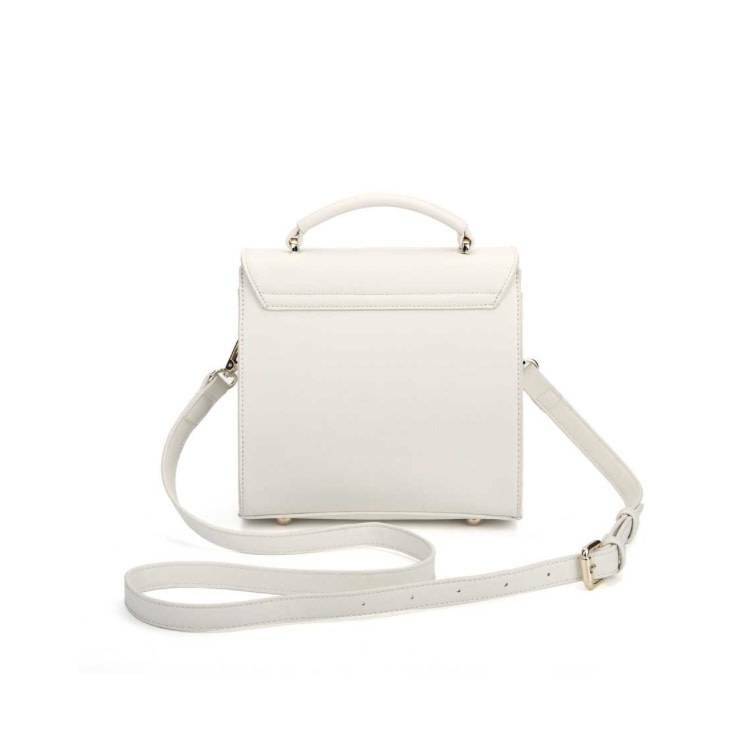 The cream textured vegan leather is easy to clean up and has a real leather touch and feel. 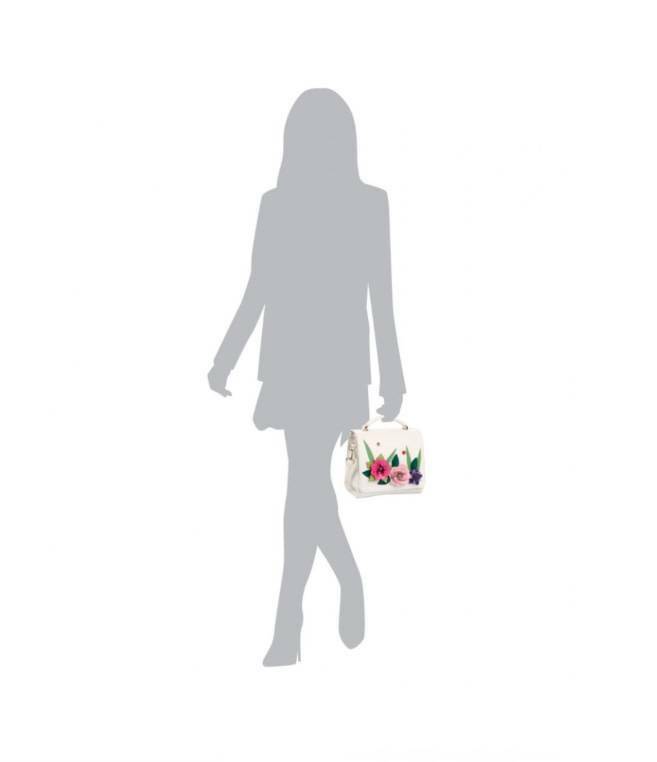 With the detachable shoulder strap and enchanting decoration this will ‘bee’ a great summer!